We do a lot for the sake of being “like” Jesus. Attempting to be more Godly, to follow His perfect example, and to please our Lord, a lot of us make sacrifices, sign up for ministries, and take action. Countless sermons and slogans warn us: it’s risky to be like Jesus. Scripture says it. In 1 John 3:13, we read that we shouldn’t be surprised when the world hates us for loving Christ. The ruler of this world (Satan) is still the enemy of God and still eager to attack. Our culture and many of its followers are opposed to the Gospel. So, yeah, when you try to be like Jesus, you’re taking a risk. And you’re probably well aware of it. But what about the internal risk? What about the threats mustered up in your heart when you try to be more like Him? “Imitate God” Ephesians 5:1 proclaims. This verse doesn’t say be God. Or supersede God. Or take on as your own what is only God’s. The verse reminds us of Jesus’s words “follow me” repeated over and over. 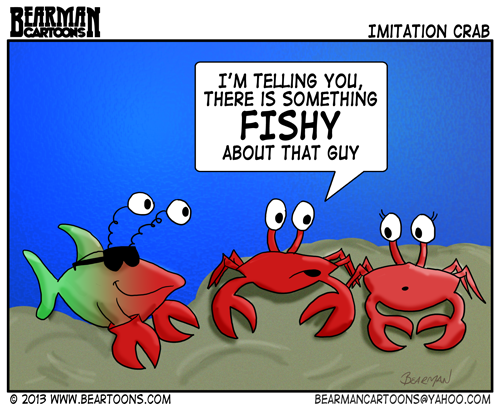 We have trouble with imitation. Far too often we choose to follow and copy “Christian things” until we believe we’ve learned the way. From there, we’re quick to head off on our own, leading our own tour of being Christ-like. Why? Control. Pride. You can be like Jesus in your actions -giving to the poor and spending time with fellow sinners- and do it all wrongly. Just “do good” with the intention of personal gain. Try “being like Jesus” without relying on Jesus. People may think you’re a great Christian, and you might consider yourself successful, but watch out. The appearance of godliness doesn’t mean you’re grounded in Christ or being used as His instrument. And if you’re not, Scripture says to avoid you (2 Timothy 3:5). You might be dressing up as the Lamb of God while devouring His flock as a wolf. When we feel that a goal is unattainable, our first thought is rarely prayer, reliance, and submission to the one whose power is perfected in our weakness (2 Corinthians 12:9). Instead, we’re likely to simply alter the goal. If your goal is to be like Jesus and you’re finding that it’s too hard, too risky, and too demanding, you might just alter your perception of Jesus to be a little more human and a little less Godly. Focusing on the how and the what of being like Jesus can easily distract from the “why.” To live like Jesus isn’t enough by itself. It won’t justify you before the Lord, it won’t make you a better person, and it probably won’t make your life any easier. But to abide in the Lord, surrendering yourself to Him so that He can work through you –that’s the call of the Christian life. It’s Christ in your stead that justifies you before God. Christ in your heart and mind does more change your behaviors: be transformed in the renewing of your mind (Romans 12:2). That is –go to the Lord to know His will, present your life to the Lord as sacrifice that He then uses for His good purposes, for His glory. Get first things first. He lives. He lives in you (Galatians 2:20)! Follow His example, but do it by sticking close to Him in every moment, choice, thought, and action.